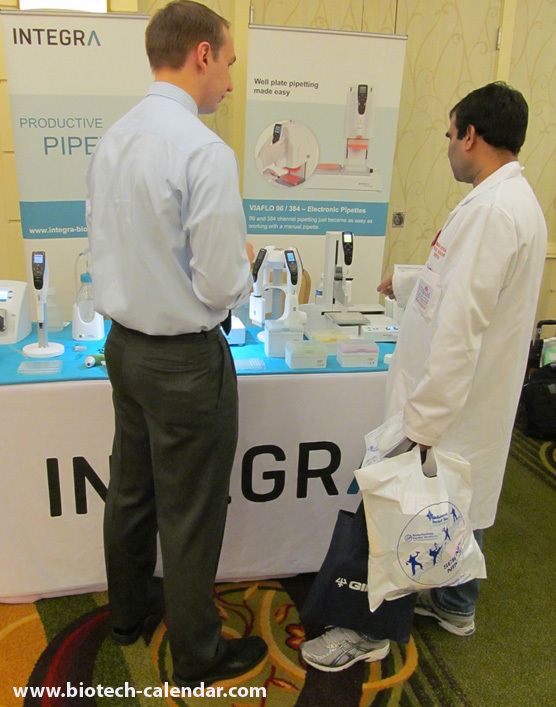 Researchers in Houston, mark your calendar and get ready for the upcoming 15th annual BioResearch Product Faire™ Event at the Texas Medical Center on January 29, 2015! Meet with sales reps from your favorite supply companies, as well as new companies you have not before meet with, to find the best new products available. Establish new contacts and maintain and grow existing professional relationships. 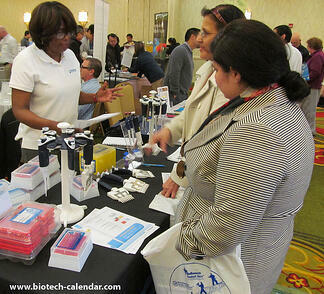 Researchers from the 2014 14th annual event discuss available products with sales reps at the event. Along with free food, there will also be door prizes and giveaways available. Everyone who attends will be eligible to enter for the chance to win an iPad Mini. The early-birds who attend the event will be able to get a new, popular Science Ninja t-shirt. 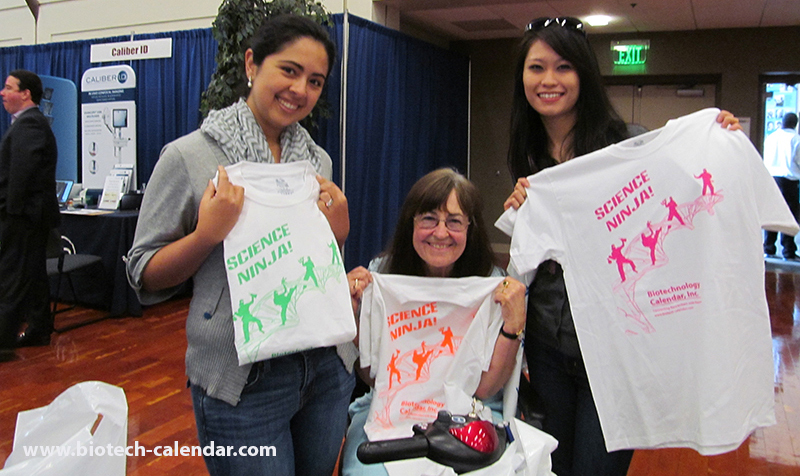 Researchers love coming to the event every year to get a new shirt to add to their Science Ninja collection. Other small goodies will also be given away, and who knows, maybe some of the supply companies will have samples and their own goodies available for you. 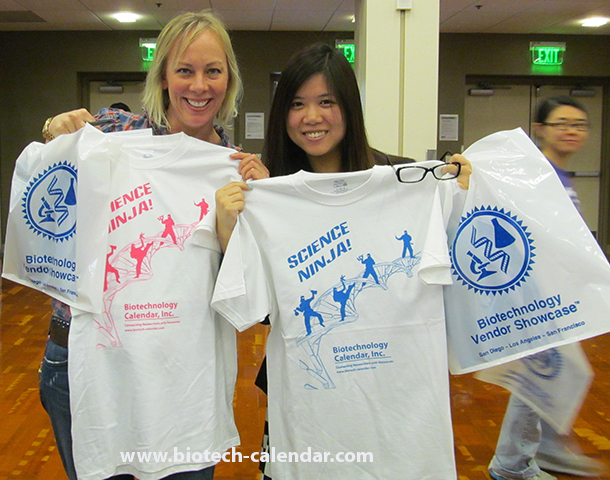 Researchers from past Biotechnology Calendar, Inc. events proudly show off their new Science Ninja t-shirts. At last years event, 452 researchers from 79 different life science departments and 50 different campus buildings attended the event. With so many researchers from different departments and buildings, this event is not only a great chance to see what new lab equipment is available, but also to interact with other researchers to make new connections and find out what different labs in the Texas Medical Center have been working on. Everyone involved in research is invited to attend this free event! You can either register the day of the event at the door, or register online in advance to save yourself time at the door.